Offering you a complete choice of products which include Bag Filter such as Filter Bags, Liquid Filtration and PP Bag Filters. Size 4" x 10", 4" x 20", 7" x 17" and 7" x 32"
Backed by a team of skilled and experienced professionals, our company manufactures, wholesales and trades Filter Bags - Liquid Filtration. To meet the varied client demands, we offer the selection in 4" x 10", 4" x 20", 7" x 17" and 7" x 32" size specifications. 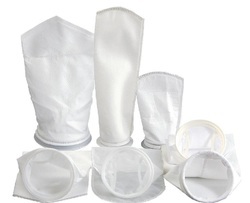 Lightweight and durable, these filter bags are used for air pollution control and filtration of paints & thinners as well. We "Geo Enviro Solution" is a manufacturer / Supplier of PP Bag Filters for the industries to control Air Pollution and also used in filtration of Special Fluids like Paints, Thinners etc. 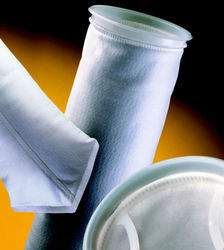 Being one of the noted manufacturers, traders, wholesalers and suppliers, we are involved in offering PP Bag Filters. 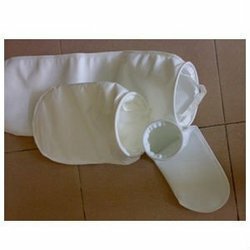 Demanded for plasticizers, fats, oil, waxes, vegetable oil and other usages, these easy to use filter bags are widely renowned among our patrons. Handed over in 4" x 20" size, the proffered compilation is manufactured from supreme quality polypropylene material. Size of our Bag Filter is 4" x 20"
Geo Enviro Solution is one of the preferred choices of our customers for proffering a wide range of Bag Filters. Manufactured from optimum quality raw material, the proffered selection is obtainable in standard size of 7 x 32. Used for resins, paints, ink, adhesives, food ingredients and other applications, these lightweight bags are appreciated for their high dirt holding capacity. Size of our Bag Filter is 4" x 10"
Looking for Bag Filter ?